We are in one world and we are all connected by one Web. The Web has fundamentally changed the way we work, we live, and how we communicate with others. Where do you go to find out the latest developments of the Web and what it will bring us in the future? The answer: About 1,500 academic, business and government computer experts will gather in Beijing in April 2008 for the premier forum on the World Wide Web that was created in the early 1990s. The Beihang University’s bid to host the 17th International World Wide Web Conference (WWW2008) at the Beijing International Conference Center was accepted by the International World Wide Web Conference Steering Committee (IW3C2) last year. It is the first time the conference will be held in the Mainland of China since the conference series started in 1994. The 2001 conference was hosted by a consortium led by the Hong Kong University of Science and Technology (HKUST) in Hong Kong, China.This year’s conference (WWW2006) took place in Edinburgh, UK in May and the next year’s (WWW2007) will take place in Banff, Canada. Prof. Jinpeng Huai said he and Conference Co-Chair Dr. Robin Chen of AT&T Labs-USA are still working on the details of the five-day meeting with the help of Beijing Tianhua Company, a Beijing event management company, and in collaboration with Peking University, Tsing-Hua Unviersity, Micosoft Research Asia, Chinese Academy of Sciences, and HKUST. Initial seed funding for conference planning has been provided by Beihang University and Beijing Tianhua Company. A corporate sponsorship program is also being developed. The main theme of the conference is “One World, One Web”. The conference will explore how the Web access moves from the desktops to cell phones and TV screens and how most users move from passive Web browsing to active participation in building the Web community. Topics of discussion will likely include Social Web, Semantic Web, Mobile Web, Digital Entertainment on the Web, Blogging/Tagging, Search/Data Mining, Web in Developing Countries, Security and Privacy issues, E-government, etc. 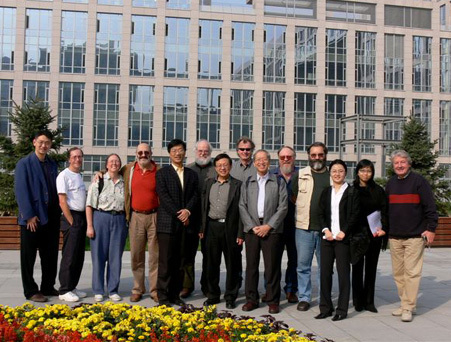 Officials from IW3C2 are visiting the Beihang University and Beijing on Oct. 12-13. Please register if you are interested in sending us a post or comment.